Oh, Nicky, things are so not fine. 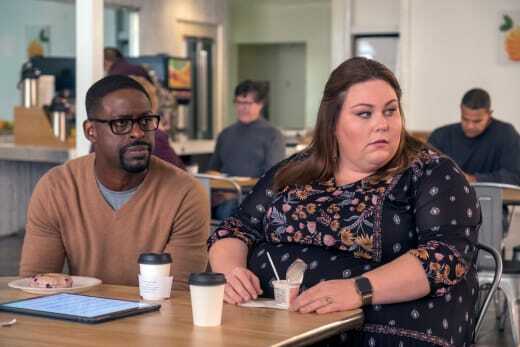 The Pearsons journey to find answers culminated on This Is Us Season 3 Episode 12, and while most of them left with the answers they were searching for, one Pearson left confused and may be headed towards another downward spiral. This journey had a significant impact on all the Pearsons, but two stand out in particular. The most obvious being Nicky. 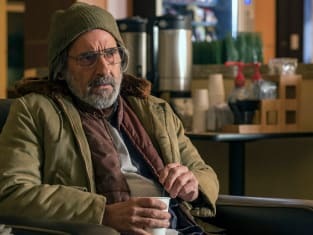 Unlike the rest of the Pearson clan, This Is Us Fanatics didn't get a lot of time to get to know Nicky, and thus many haven't been able to connect with him in the same way they have with other members in the Pearson family. 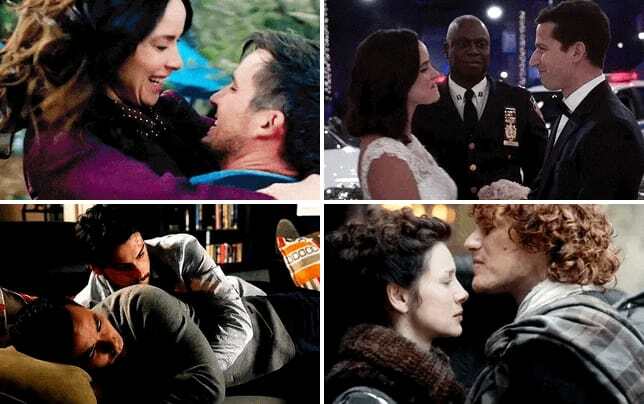 "Songbird Road Part 2" finally gave us that chance to feel that connection with the character, and despite just getting to know him, it felt like we knew Nicky Pearson our whole lives. 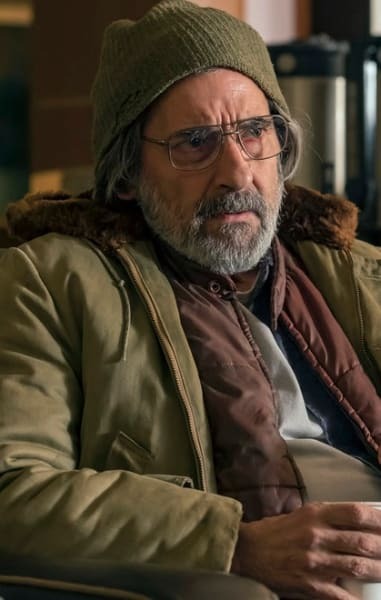 On the outside, Nicky looks like a broken man, and if anyone were to ask him, he would say he's not only broken, he's unfixable. At first, it seemed like that was true. He refused any offer of help Kevin was more than willing to provide, but as he began to learn more about Jack's family, the broken pieces were very slowly getting mended. Kevin: He's getting hammered with a gun next to him at his trailer and I just offered him Pringles. Randall: Pringles are pretty great. Kevin: Don't be funny right now. Randall: I'm not, I really like Pringles. Permalink: I'm not, I really like Pringles. Nicky will never be the uncle the Pearson kids would like him to be, but he isn't too far gone. He has the potential not only to fix himself but mend the broken relationship he had with Jack through his kids and his wife. It seemed as though this was the last we will see of Nicky for the time being. Kevin and Rebecca left him in his trailer in Bradford where he feels most secure, but I expect as he attempts to get better, he will find ways to be there for his nephews, niece, and sister-in-law in ways he never knew he could be. Nicky doesn't know it yet, but he will be needed in the lives of the Pearson's, especially Kevins. It was apparent since the beginning that finding Nicky was more important to Kevin than it was to anyone else in his family. He's been searching for answers and unbeknownst to not only his family but us as well, this search for Nicky has taken an enormous toll on Kevin. So much so that he threw away his sobriety. 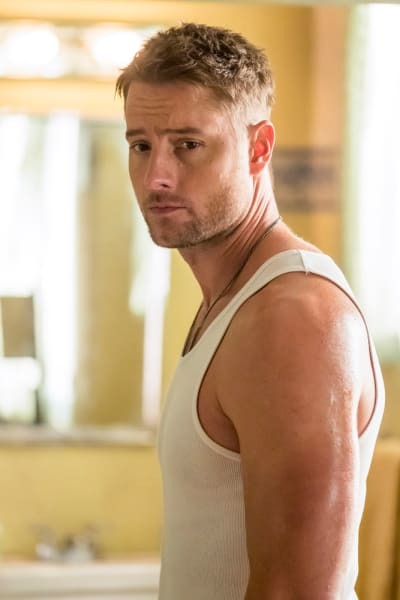 Kevin's alcoholism was one of the most heartbreaking, but also emotionally moving storylines on This Is Us Season 2 and overcoming it made him become the strong man we've grown to love. Falling off the bender will be an even more difficult task for him to face, especially because he's been tasked with taking care of his family as of late. Finding Nicky has been an important journey for Kevin, and while I knew it would have a profound effect on him, I never expected the impact to be so negative. When Rebecca said to Nicky that Kevin cared about people too much at times, I never realized how much that quality in a person can hurt them more than help them. Kevin is harder to define. I know he seems like he has it all. He's tall, he's handsome and he seems so confident but really underneath all that he's just a sensitive little boy and he's had a really tough year. Kevin expected things to go a lot smoother with Nicky than it did. He has seen the way Randall has gotten people like William and Deja out of the darkness and into the light, and Kevin wanted to do the same with Nicky. Nicky was just not ready for that, and Kevin was unable to be okay with the fact that he couldn't help Nicky. Kevin may be the one who initiated contact and tried to help Nicky, but now it may be time for Nicky to step up, be the man Jack always knew he could be and help Kevin through this break of his sobriety before he is faced with another downward spiral. Speaking of Jack, one has to wonder how no one in his family was able to get him to open up. Sure his kids were 11, but it was clear Randall and Rebecca both knew something was wrong. 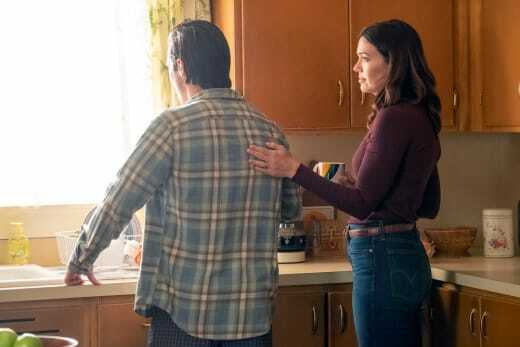 Related: This Is Us Season 3 Midseason Report: Most Romantic Moment, Hottest Couple & More! Randall did what he should have which is be there for his dad. When Randall put his head on his dad's shoulder and just sat there with him, I couldn't help but smile. Young Randall might be the cutest kid on the planet. However, Rebecca could've done more. Was she an excellent wife for relieving Jack of his duties to take Kevin to a baseball signing so he could have a day to himself? Absolutely, there is no doubting that. Yet, there are times when you need to give the people you love space, and times when you need to push them to talk. At some point in their marriage, Rebecca should've pushed Jack to talk and that weekend would've been the perfect time to do it. You drove a long way so the least I could do was tell you about Jack's tongue and groove word. And, um, you guys were all he ever wanted. It seemed as though Rebecca agrees and not demanding the truth from Jack might be one of her biggest regrets, which is why I think she chose to visit Nicky in the first place. It felt like Rebecca wanted to do what she could to repair the relationship between Nicky and Jack in some way. If Jack was still alive and she knew about Nicky, I imagine Rebecca would've been the person who could do that. 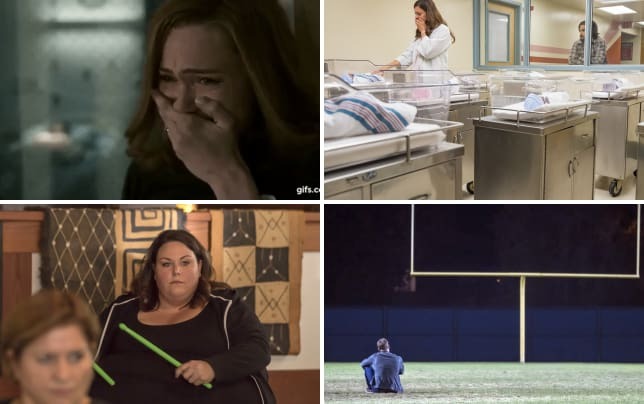 This Is Us always knows how to bring the tears, but this episode was much more subtle. It was a reminder that life is short, and Nicky is a prime example of someone who is living with regret because he never got to speak the truth. I knew This Is Us gave me all the feels but damn, now it's trying to teach me philosophy too. I can't deal with all this emotion! Luckily, Kate and Randall managed to make this depressing albeit enlightening affair a little more hopeful. Kevin's takeaway from the trip may be dark and scary, but Randall and Kate learned the difficulty of being a parent. While not as earth-shattering as Kevin's fall from grace, the trip to Bradford was a milestone moment for Kate as well. She's always been the sibling that put her dad high up on a pedestal. In her eyes, he was the end all be all of a perfect man. Her view of Jack was probably the reason it took someone as remarkable and charming as Toby to win her over in the love department. However, his lies about Nicky and Randall's story about what went down on that 1992 weekend made Kate realize that her father wasn't perfect, and that's okay. Randall: Look we all have bad days as parents. I've had some doozies and you will too. Kate: You've had some doozies? Randall: It's hard to believe but yeah. Look all you can do is pack the days with as much good stuff as possible and hope it outweighs the bad. You hope that the good stuff sticks. That's what he did for us. Kate's worldview might have changed, but not in a bad way. She and Randall walked away from the trip with the answers they needed. Visiting their childhood home was not just a nostalgic experience but a cathartic one as well. Now both Randall and Kate realize the most important thing in their life moving forward and that's family. The trip was another stepping stone in assuring Kate that she has what it takes to be a good mother; she was raised by the holy parents that are Jack and Rebecca, after all. 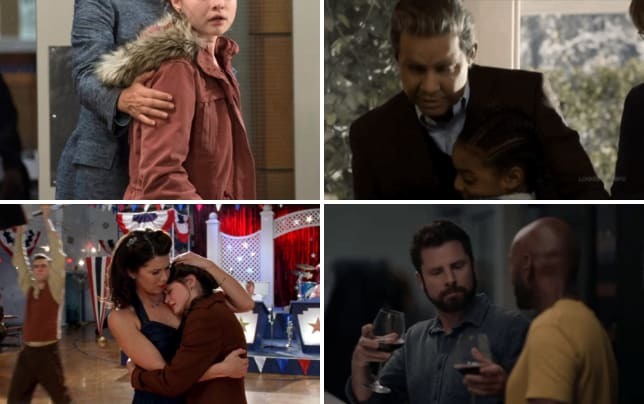 Now, hopefully the growth that both Kate and Randall experienced will allow them to help Kevin out of the mess he's gotten into because their first attempt at it when he first dealt with his alcoholism wasn't exactly great. However, if This Is Us has proven one thing, it's that the Pearson siblings continue to evolve and while they can sometimes be self-absorbed, they continue to be there for each other during the tough times, and this time in Kevin's life will be one of those tough times. What did you think of "Songbird Road: Part 2"? How do you think Kevin will handle his fall from sobriety? Who do you think will help Kevin get back to his sober ways? How do you think Nicky will factor into the Pearson's lives moving forward?